New trend: What is "mermaid hair"? New trend: What is “mermaid hair”? Would you want to find yourself in the fairy tail, even for a little moment? Inspiration drawn from fairy tales enters the reality! Today you can follow the mermaid colourisation trend and make yourself look like your favourite characters from the World of marine fables. Go back in your memories to your favourite cartoons. You were watching them with bated breath and probably, just like every girl, you wanted to be like a princess. You were convincing your mum to sew you beautiful dresses and make you the crown. Remember Ariel? This Disney princess from the deep under water world delighted with beautiful tail and flamy red long hair. Where did this trend come from? It is hard to say where the trend for hair stylisation in The Little Mermaid style come from. Brave women keep on looking for the inspirations and new solutions. Also when it comes to the hair. This is probably why there was created the demand for colourisation in pastel colours. Women just get bored of grey and pewter hair. This is how mermaid trend came to life. But, why the effect was called mermaid when we all know that Ariel had vivid red and long hair? Maybe it was about mermaid from some other cartoon? What is mermaid colourisation based on? Colourisation in a style of Disney princesses is nothing else, but hair colourisation involving extravagant colours, that are to resemble deep ocean. Allowed are all shades of pastel violet, pink and blue. You can also try some green, also in pastel shades or a bit more courageous shades of vivid fuchsia and navy. 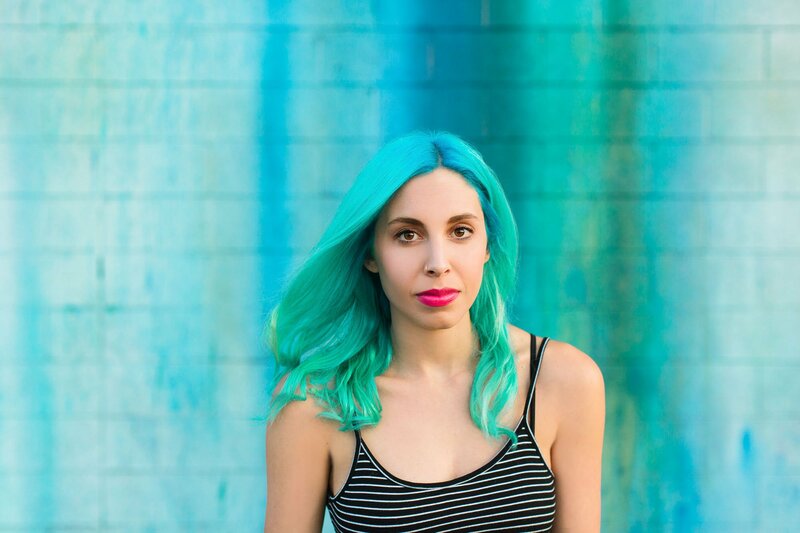 When it comes to the mermaid hair there are mostly two colours in an interesting combination, e.g. ombre. Created, oceanic effect is fabulous, but does it really remind of sea life? A certain American colourist has been inspired by the mermaid trend. DJ Victory from Cleveland decided to recreate The Little Mermaid effect on hair… quite literally. The artist is known for creation of real life portraits on human hair extensions. Inspired by the mermaid hair she decided to paint Ariel. Thanks to her, mermaid trend gained entirely new look. How to soothe scalp irritation? Hair colouring – how to extend the life of your colour? Gombre. All hair-lovers know this trend. Ranking of hair growth enhancing oils Copyright © 2019.